No matter where I’ve worked, I’ve always had teens that were engrossed in Pride and Prejudice. Usually it started with the movie versions and then they devoured the rest of Austin’s works. 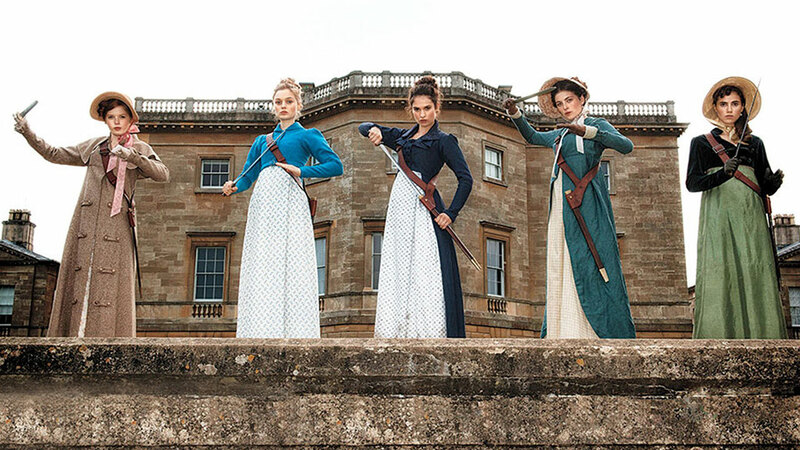 However, with the movie version of Seth Grahame-Smith’s Pride and Prejudice and Zombies coming out in two weeks, it has gotten a whole new group of teens vastly interested in Victorian times and culture. I’ve done steampunk style for previous events, but with the amped up interest, it got me thinking. Why not put together a twist on a traditional Victorian tea by making it a zombie tea party to celebrate the launch of the new movie? Invite attendees to dress in their favorite period gear if they desire, pull not not only the two base books but those related to tweak interest, and have an afternoon zombie tea party. Now, you could certainly throw a traditional Victorian tea party reception, but where would the fun be in that? We’re talking about zombie slaying young ladies, after all. So take things and throw a little twist into it. I have lost count of how many times I’ve used my brain jello mold. Zombie parties, fear factor challenges, Minute to Win It contests, lock-ins… This thing has been worth it over and over. I got mine at a Halloween supply store one year (spent my own money so I could keep it) but you can find them anywhere online. Use this for rainbow jello, green jello, or anything else that will set. It’s especially good for creepy looking ambrosia. You can make flavored butters extremely easily (you’d be surprised), and with a little creative labeling they can turn into nice zombie spreads. Chocolate Hazelnut or creamy brown sugar butter turns into zombie goo, olive or rum raisin butter turns into gibblet jam, etc. Since it’s wintertime, keep to the winter theme and take what flowers and plants are seasonal in your area to set in the middle of the table. Alternatively, get bare branches for the dead theme. If you want to have more than just food, think about having a craft or two to go with it. You can get blank ceramic tea cups online or at your local craft store, and Forever Young Adult has a wonderful article on what they did at a ceramic store. If you want to be more modern, you can get design your own coffee travel tumblers and washi tape. My teens can’t seem to get enough of duct tape. Get some in patterns that seem to go with the Victorian Style and have them make roses for corsages. Let them loose with your good craft paper, decorative paper, and odds & ends and have them make top hats and mini top hats. This tutorial from Tally’s Treasury is for a really long lasting hat (hence the layers of lacquers) but you can get the idea. What do you think? What awesome things would you for a Zombie Tea Party?